Chief Product Officer Will Offeman: How WideOrbit Supports Digital-Linear Convergence - WideOrbit Inc. This is the next installment of a series highlighting TV industry thought leaders who attended WideOrbit Connect Networks in November, 2018. Check out all of the previous interviews here. WideOrbit Chief Product Officer Will Offeman spoke to Beet.TV about the convergence between digital and linear media and how the company plans to bring the two together as consumers are increasingly consuming content in different ways. When it comes to supporting digital-linear convergence, Offeman says that customers have three key expectations of their technology partners: help them make money, save money, and reduce friction in the ad transaction process. “We’re building out tools to help merge sales front ends so we can put linear and digital plans together,” he says, adding that machine learning and predictive analytics will also be a focus for WideOrbit’s 2019 product roadmap. 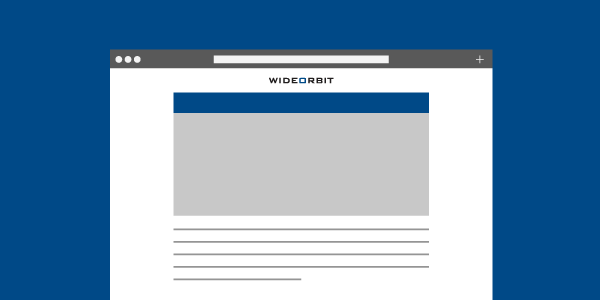 Thanks in part to technology and expertise inherited from WideOrbit’s acquisitions of digital adtech companies, WideOrbit customers can expect to see more advanced tool sets built into their WO Traffic and Network software.